Do any of you remember me saying something about cleaning out my cookbook collection? Huh. I kinda forgot about it. The only reason I’m remembering it now is that I recently swept my kitchen floor… and now you know the usual condition of my kitchen floor. There in the corner of the room sat two grocery bags from Trader Joe’s, filled with old cookbooks. Let’s pull one out, shall we? Oh look! It’s Betty Crocker’s Bisquick Cookbook. Some of you might remember, about a month ago I mentioned the book “Big Magic” by Elizabeth Gilbert, saying I should probably read it. I’m here to tell you I did. Full disclosure: I wasn’t part of love fest surrounding “Eat, Pray, Love,” Gilbert’s memoir and wildly successful bestseller. To be perfectly honest, I read two chapters and gave up on it, because I simply wasn’t enjoying it. The only reason I decided to give this book a shot was that it was recommended to me by someone I trust. I’m extremely glad I did. I can’t even begin to tell you what my favorite part was. Instead, I’m going to throw a few quotes at you. Author CJ HartwellPosted on January 30, 2016 January 29, 2016 Categories Saturday SmileTags big magic, book review, books, creative living, elizabeth gilbert, reading, writing5 Comments on Do You Believe in Magic? I haven’t done any book reviews and I’m not going to today. As a matter of fact, I haven’t even read this book. For all I know, it could be the creme de la creme of romance tales. But my God people, look at this cover! Wait … what? Three hands? One on the ground, one resting on her leg, one holding his hand. 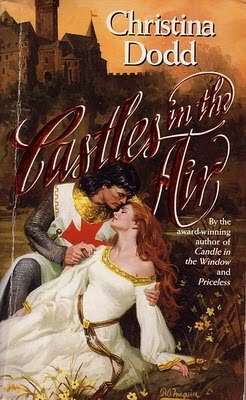 You have to wonder, how many people reviewed this illustration before it was selected as the book cover? And how long did it take for it to be noticed? I don’t know about you, but these are the sorts of things I really enjoy. I have no idea how Christina Dodd felt about it. You may remember my post from last Saturday. I gave a writing prompt involving a cast off pair of undies and challenged you all to write a little story about it. Before we get started on today’s Saturday Smile, I have to get this off my chest: WHY DOES WORDPRESS HAVE PUBLISH IMMEDIATELY AS THE DEFAULT?! As many times as I have purchased bookmarks or received them as gifts, rarely is there one available when I need it. Usually I just wind up using a scrap of notepaper, a playing card, or even a piece of string. Back when I worked at a library, I found out I’m not alone. We used to find grocery lists, electric bills, dental floss (ew! ), and yes, occasionally money. Recently I read an article about items found in books by used booksellers. Some of the things they find are pretty interesting. Have you ever visited AbeBooks? It’s a book lovers paradise. I can lose hours on that site. Literally, hours. A hotel cocktail napkin with a name and a room number on it – from Spain – found inside a 1945 mystery paperback. Was it the rendezvous that never happened? Or was it a rendezvous so memorable, the lady (or gent) kept it as a bookmark, sighing with every turn of the page … ?